Forget the fact that this book won the Newberry Award. I would tend to agree with the assessment of most people that any book that wins this award tends to be mushy, predictable and only worthy of the time of the people who inhabit the grades five through eight. There are some exceptions to the rule, and Neil Gaiman’s The Graveyard Book is a great example of this. From the opening line you know this book is going to explore some dark subject matter that might not be suitable for a younger audience. But that is the brilliance of this book. 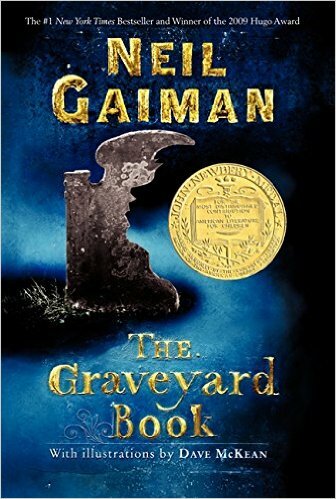 Neil Gaiman takes his usual love of mythology and magic and blends together a tale that doesn’t speak down to its audience, but instead treats them as the intelligent human beings that they are. Because of this, the story that is told not only appeals to the middle school crowd, but also to lovers of a good horror story as well. Neil Gaiman is one of the best writers practicing the craft right now, and this book is an example why.